IBM can manage all assets (IT, Enterprise, Smart) from one platform (with Maximo) reducing support disconnects and cost, and enabling service management process to be applied to all assets and services. IIBM® BigFix creates a software app store that enables users to select software with automated approvals, accounting, and deployment. 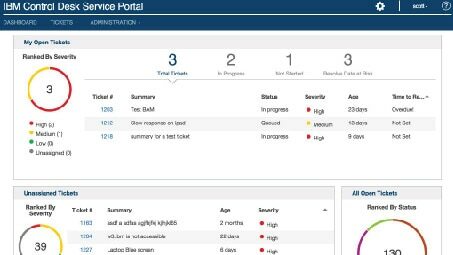 Automated change analytics in Control Desk enable clients to understand the service impact of changes and collisions with other changes to minimize outages and issues. Users can easily order services, chat with support, report issues, easily find solutions and track status through a seamless, brandable single point of contact. Maintain compliance, reduce software waste, manage entitlements and contracts and reclaim under used assets with IBM Control Desk's asset management capabilities. See Software Requirements for IBM Control Desk System Requirements.